Multi-disciplinary artist Edisa Weeks is making one thousand eight hundred and sixty-five roots out of paper and twine, and she wants the help of our Brooklyn community at this Roots Party. 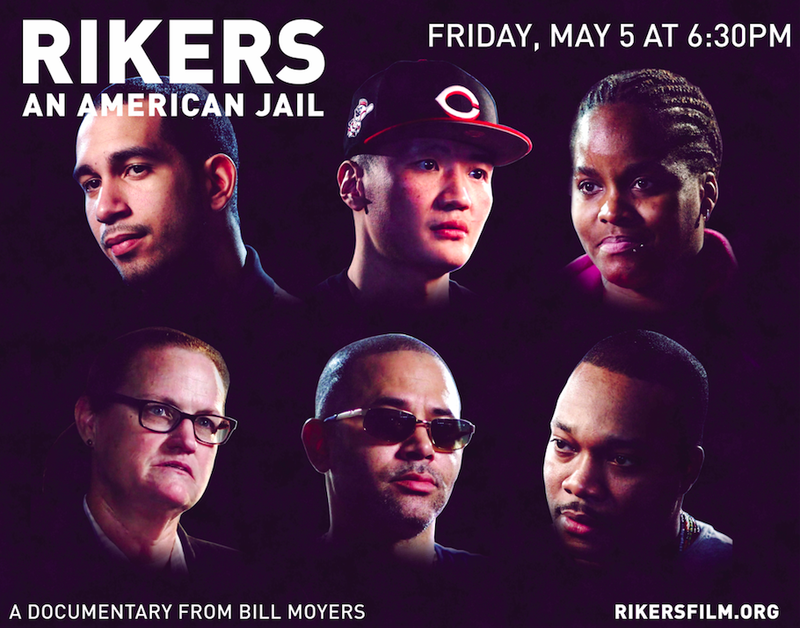 6:30-8PM: Community conversation with Cadeem Gibbs, Vidal Guzman and Ismael Nazario on the prison industrial complex, mass incarceration in America, the New Jim Crow, and the closing of Rikers Island. Moderated by Brittany Williams. Vidal Guzman, Community Organizer, Just Leadership USA and the Close Rikers movement. Multi-disciplinary artist Edisa Weeks is making one thousand eight hundred and sixty-five roots out of paper and twine, and she wants the help of our Brooklyn community. 1865 represents the year that legalized chattel slavery ended in America. The roots are part of a performance installation, THREE RITES: Liberty, and will dangle from the ceiling to the floor to create an environment that the audience separates and moves through (as if moving through history), to find open spaces containing reflections on liberty. The "Roots Party" is a making and conversation space, where people can gather to make roots and discuss issues surrounding life, liberty and the pursuit of happiness. Root parties are a mash-up between a sewing bee and talking shop in a barbershop. This Roots Party will take place over four hours in the BRIC Artist Studio, during which people can participate in making roots and engage in conversations led by thinkers, practitioners and community members on issues pertaining to life, liberty, and the pursuit of happiness. Every two hours, a new group of leaders will "talk shop" and lead a conversation from their perspective (constitutional historian, religious leader, high school debate team, community activist, social analyst, psychologist, etc.). The audience is free to come and go and are invited to engage in whatever capacity they feel comfortable—assist in making roots, participate in and/or listen to the conversation. In an age of Citizens United, the Patriot Act, Super PACS, immigrant deportation policies, Standing Rock, Black Lives Matter, the Trump Presidency, an economic depression and the longest war in America's history, Roots Parties are about engaging community in a shared dialogue about what are the inalienable guaranteed rights of life, liberty, and the pursuit of happiness; why were they included in the United States Constitution; and how America is living up to those rights. Edisa Weeks is a Brooklyn, NY based choreographer, educator and founder of Delirious Dances. She creates multi-media interdisciplinary work, that merges theater with dance to explore our deepest desires, darkest fears and sweetest dreams. Her work has been performed at the Brooklyn Botanic Garden, The Clarice Smith Performing Arts Center, Emory University, Inside/Out at Jacob's Pillow, Works & Process at the Guggenheim Museum, Harlem Stage, The Kennedy Center, The Massachusetts International Festival of the Arts, Materials for the Arts, The Mermaid Parade, The National Black Arts Festival, Snug Harbor Cultural Center, Summerstages Dance Festival, as well as swimming pools, storefront windows, senior centers, sidewalks and living rooms. She grew up in Uganda, Papua New Guinea and Brooklyn, NY. She has a BA from Brown University, and received a full fellowship to attend New York University’s TISCH School of the Arts where she obtained an MFA in choreography. She has had the pleasure of performing with Annie–B Parsons Big Dance Theater, Bill T. Jones/Arnie Zane Dance Co., Dance Brazil, Jane Comfort, Jon Kinzel, Muna Tseng, Reggie Wilson Fist & Heel Performance Group, Sally Silvers, Spencer/Colton Dance, among others. She teaches improvisation, technique and choreography at Queens College.